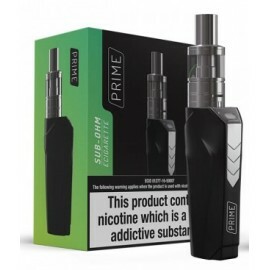 iBreathe Pro eCigarette Tank The iBreathe Pro eCigarette tank. 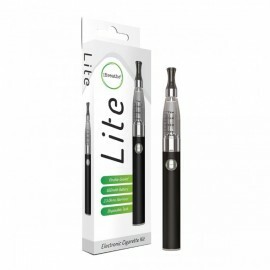 2.0ml eLiquid capacity, you can va..
iBreathe Electronic Cigarette eGo Replacement Batteries - Choose From 5 Available Col..
iBreathe Aerotank Replacment Coil x3 The iBreathe Aerotank Replacment atomiser Coil/Wicks makes r..
iBreathe C2 Replacment Coil x3 The iBreathe C2 Replacment atomiser Coil/Wicks makes removal and c.. These coils are for the iBreathe essence Kit. Packs of 5. 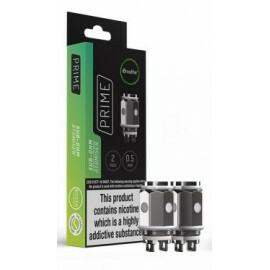 Simply replace the bottom coil in th..
iBreathe Aerotank Dimensions: Length - 65mm, Width 16mm Atomiser Capacity: 1.6ml Coil Resista..
iBreathe Black EGO C Replacement Wick/Cone and Base The iBreathe EGO C Replacement Wick will re..
iBreathe Black EGO T Replacement Atomizer The Black iBreathe EGO T replacement Atomiser..
iBreathe Electronic Cigarette Tank C1 Replacement Clearomizer iBreathe Electronic Cigarette Tank ..
iBreathe Electronic Cigarette Tank C2 Changeable Replacement Clearomizer iBreathe Electronic..
iBreathe eGo-C & eGo T Cartridges x5 iBreathe cartridges for the eGo-C and eGo-T electronic..
iBreath Electronic Cigarette UK Main Charger To use iBreath Electronic Cigarette UK main plug ada..
iBreathe Electronic Cigarette USB Plug iBreathe Electronic cigarette USB Plug can be used f..
iBreathe Electronic Cigarette NEW - iBreathe MT3 / eVod Tank The Brand New Atomiser/Clearomisers/..
iBreathe Prime E-Cigarette Atomiser Coil Made from the highest quality stainless steel & or..
iBreathe Pro Advanced e-Cigarette Atomisers (5 Pack)	The iBreathe Pro atomiser is made from high qua..
iBreathe Silver EGO C Replacement Wick/Cone and Base The iBreathe EGO C Replacement Wick will r..
iBreathe Silver EGO T Replacement Atomizer The Silver iBreathe EGO T replacement Atomiser wi..